Welcome to Tehran International Airport. Sounds highly unlikely, right? On both counts: a warm greeting and a logical destination. After all, the reputation of Tehran’s old international airport was forever nailed in the movie Argo, as a place to flee rather than arrive, reinforced by what happened last weekend when the Swiss flight taking Washington Post reporter Jason Rezaian to freedom sat on the runway for hours until his wife and mother were allowed to board. But you never know. Stranger things have happened. For example, if you had been told just ten years ago that the world’s busiest airport for international traffic would soon be one sitting in an Arabian desert, you would no doubt have thought it bonkers. However, the surprising reality is that the whole geography of international air routes is going through a disruptive revolution—and the Middle East is the principal disruptor. Iran was locked out of this revolution for nearly four decades by an international sanctions regime. And so the question now is: is it too late for them to get into the game in any really effective way? Certainly the people running the state airline, Iran Air, could ruefully be considering a welcome back note to them from the rest of the world with the heading “While You Were Away…” rather like someone who had been on Mars for 35 years would receive on returning to Earth. To see why this is particularly poignant for the Iranians we need to spool back to the 1960s. Airlines were beginning to deploy the first generation of intercontinental jets. This transformed air travel. The change is mostly remembered for the fact that it doubled the speed of commercial flights from the era of the propeller…or, to put it another way, it halved the time it took to fly between continents. But an equally lasting and profound change came to the planning of routes. As jets developed they were able to fly longer nonstop flights between major cities. One airline had spotted the real significance of this. It had always been the most aggressive in building a globe-encircling route system: Pan American. The tyrannical visionary who ran Pan Am, Juan Trippe, realized that with U.S. government support (in a policy known as “The Chosen Instrument”) he could act rather as Captain Cook did for the British Empire—be the pathfinder who took American interests and influence into every part of the world, ending forever the concept of regional remoteness. When Boeing produced the first truly successful intercontinental jet, the 707, Trippe was the company’s most demanding and interventionist customer. His engineers rode shotgun on the 707’s designers, pushing constantly for better performance and for Trippe’s first target for the jet age: nonstop from New York to Rome. Trippe sent Pan Am’s first 707s on what were called proving flights across the world. The airline’s most experienced captains, along with company executives, flew into dozens of airports that had never seen a jet. They explained to local politicians what would be needed to handle future traffic—new runways, navigation aids, better gates and lounges, maintenance bases—with the implication that if they couldn’t deliver, Pan Am would take its business elsewhere. One place where Pan Am got an enthusiastic audience was Tehran. After the 1953 coup in which U.S. and British intelligence agents orchestrated the removal of the democratically elected prime minister, Mohammad Mossadegh, and replaced him with their stooge, the Shah, Iran was virtually a client state of the U.S. The Shah needed little persuasion to see himself as a player in the future of aviation, buying American airliners with the same appetite that he had for American military hardware. Moreover, Tehran had always been an optimal location on the air routes linking Europe, the Middle East and Asia. On Pan Am’s route maps from the first post-war expansion of air travel the favored cities, because they aligned with the most efficient network, were London, Frankfurt, Rome, Istanbul, Tehran, Delhi, Bangkok, Hong Kong and Tokyo. As the range of jets increased, notably with the arrival of the 747 jumbo, Pan Am could thin out these clusters to create a faster path for their premium intercontinental flights. For example, they could go direct from either London or Frankfurt to Tehran, and from Tehran direct to Bangkok or Hong Kong. The international route network established by Pan Am and then followed by every international carrier remained unchallenged for decades. It was hard-wired into their business models. It suited the settled order of how markets were carved up between the American and European airlines that enjoyed a post-war arrangement that was a cartel of monopolies in all but name. It took a few renegades with vision and a new generation of jets able to fly longer distances to upend this system. The challenger came, literally, out of the desert. In 1985 Tim Clark became head of planning for a new airline, Emirates, based in Dubai. Clark was no lover of cosy cartels—he had run a small independent British airline, Caledonian, and seen and felt how the hidden hand of price fixing and route monopolies worked in Europe. Clark saw the significance of Dubai’s location, halfway between Europe and Asia and equally well placed for connections to Africa. He understood that for long haul routes between continents the old hubs like London, Paris and Frankfurt were a logical stop only for passengers bound for those cities. Emirates, he decided, could shift the ideal center point for interconnecting flights to a new airport unconstrained by limits imposed by a surrounding city or the night curfews that go with operating out of those cities—an airport that could have multiple runways and operate round-the-clock with terminals that looked more like a fusion of shopping malls and resort hotels. Thus was born Dubai International. Today Dubai is the world’s busiest airport for international flights. In 1990 it handled 4.3 million passengers; in 2015 it topped 70 million. A new airport complex with five runways and four terminals, due to be completed in 2020, is designed to handle 160 million passengers annually. Clark (now Sir Tim) has built the growth of Emirates on the back of two airplanes—the Airbus A380, the world’s largest, and the long range version of the smaller Boeing 777. Emirates has been the world’s smartest exercise in the sizing of jets to specific routes, using the larger jet for the most densely traveled intercity routes and the smaller for more dispersed routes. For Dubai itself the airport and its airline have been rainmakers—bringing in nearly $27 billion a year, representing 27 percent of the GDP. Looking at this, the Iranians can only dream “what if?” If they had not become international pariahs, could Tehran have been to airline routes what Dubai now is? Geographically, Tehran was as well placed as Dubai—perhaps, even, a tad better placed, being further north and closer to the traditional flight corridors between Europe and Asia. Also, Tehran had the potential to be a lot more than a pit stop in the desert. It was the gateway to a country with some of the most exquisite sites of the ancient world. Today the Iranians’ first and most urgent priority is to replace clapped-out airplanes—it has a fleet of Airbus and Boeing jets that are between 20 and 35 years old. On the day that the sanctions were dropped Iran Air announced that it would order 114 new jets from Airbus—and Boeing is expecting to get an equally large order. The airline said it needs at least 580 new airplanes in the next decade, 300 of them in the next five years. Overseas, Iran Air has the opportunity to tap into a huge market of expats in California, Canada and Europe. These destinations could produce the kind of density to justify following the Emirates model and buying A380s that can carry up to 600 passengers with just a coach and business class layout—although there is a diaspora of fat cat Iranians who would probably want a first class cabin (if they are not wary of being detained on arrival and asked to explain the provenance of their wealth). In the days of the Shah, Iran Air was run very much like EgyptAir, Middle East Airlines, Jordanian Airlines and Gulf Air, earlier generations of Middle Eastern state airlines with a preference for American jets (Airbus was not then the equal force that it now is). They were seen (and operated) as much as national prestige projects as commercial ventures. The Shah regarded the airline as something of a personal hobby. He asked Boeing to develop a smaller, faster version of the 747 to fly longer distances than the standard 747 and Boeing obliged with what was called the Boeing 747SP (Special Performance.) Its shorter fuselage made it look unnaturally porcine but it was a very sporty jet and was used for a short time by other airlines like South African Airways to fly nonstop on long routes. Only 45 were built and Iran Air is the only airline still operating one. It’s going to be fascinating to see if Iran Air, under the current regime, can be run no longer as a vanity project but as an internationally competitive airline. 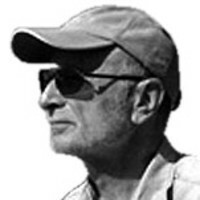 The country’s volatile mix of mullahs, Revolutionary Guard zealots, military adventurers, native industrialists, entrepreneurs and closet reformers has not produced the kind of stable commercial discipline that is normally required for operating an airline to the level of innovation and efficiency exhibited in Dubai. In this respect, aviation could be a new theater for the centuries-old rivalry between the Arab and Persian cultures, with Iran painfully aware that, given a different history and with its record of shrewd international trading, it might well have been a real player.